Business leaders understand the importance of seeking new strategies and systems for growth, but often, they find themselves falling back on their old methods. The reason? Change is hard. Even if manufacturers and distributors know about the benefits ERP and CRM can bring to their companies—such as real-time visibility into operations, process automation and customer service improvements—they still get spooked by software failure stories. However, in our 20 years of providing enterprise software solutions and services, Datix has learned the risk of putting off ERP and CRM implementations. We’ve seen that businesses that adhere to outdated processes and technology eventually find their operations slowing down and their profits dwindling, putting them behind the competition. Even small and mid-size businesses (SMBs) can reap substantial ROI using ERP and CRM. Cloud deployment options make these software solutions accessible for businesses of all sizes and support enterprise growth in ways that Excel and QuickBooks fall short. That being said, our CRM and ERP consultants have also witnessed (and saved) businesses that have undergone implementation failure, resulting in a lot of wasted time and money. That’s why we’ve put together “The Ultimate CRM and ERP Implementation Plan E-Book” to guide manufacturers and distributors in following best practices to achieve software implementation success. Check out our excerpts below, and download the e-book for even more tips for ERP and CRM implementations. A CRM and ERP implementation is comparable to a building construction project. Initially, blueprints are drawn up to ensure builders and commissioners are on the same page. Next, it is imperative to guarantee there is a solid foundation to build upon. If the foundation does not exist, the entire project will be full of contingencies. Datix’s Strategic Solution Process reflects this methodical approach to software implementation. Our process is designed to mitigate risk at each stage, providing transparency and direct communication between stakeholders and project resources. This fool-proof method enables our clients to get their new instance quickly up and running. Once you’ve decided to get rid of your legacy software and its dated process flow models, slow performance and bugs, it’s time to strategize for a new system. When replaced with a newer ERP system that has been planned and implemented around strategic business objectives, organizations can significantly reduce direct labor and overhead costs to earn sizable ROI. However, if a business adopts a new system without changing old processes, the net gain could be very minimal. This inevitably results in a vicious cycle of sunk costs. The new system will support old processes, thus perpetuating inefficiencies. Ultimately, this means businesses could be doing all the work while achieving none of the benefits. 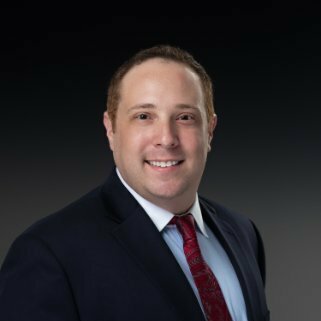 The bottom line is this: to comply with software best practices and get the most from your enterprise technology, update ERP and CRM systems as well as business processes. Managing change within the organization is critical for system adoption and success. Similar to moving into a new home, shifting from a legacy system to a new software instance can take some adjusting. Traditionally, project managers advise business users of the change just prior to a system going live, but this can take users by surprise. The best way to avoid this type of instability is to integrate a user onboarding process in the planning stage of the implementation project. This allows the project to drive new initiatives for the business and keep business users motivated to see each one through. We strongly recommend discussing end user training and systems development strategy to add to the list of project deliverables. This gives users the experience they need to perform responsibilities in the system sooner with less cost to the business. Going back to the beginning, we explained how critical it is to draw blueprints and build the foundation before a brick is ever laid. To ensure business outcomes and technology investments align, system implementers and the business operations teams must remain on the same page. Having a process that mitigates risk and provides transparency and control at every stage of implementation keeps the project running smoothly. In addition to the above information, our e-book also provide key tips about use cases, budgeting and scheduling, choosing the right consultants, planning for upgrades and more. Like every aspect of your business, software success doesn’t come without careful planning and putting in the work. 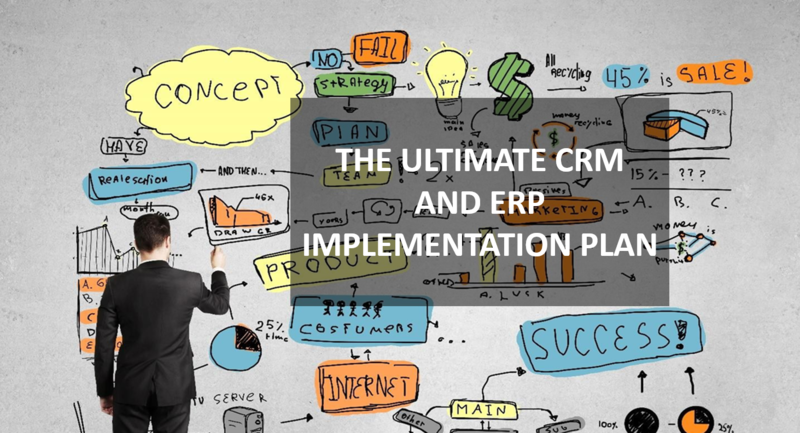 The ERP and CRM implementation process is, well, a process. When executed in accordance to best practices and your business needs, software implementations drive enterprise growth and improvement. But ERP and CRM implementations shouldn’t be taken on alone. Consultants contribute their experience and knowledge of software best practices to guide projects from start to finish. Not just any consulting firm will do, however. As an Epicor Platinum Partner, certified Microsoft Dynamics 365 and Salesforce CRM partner and an expert in manufacturing and distribution solutions, Datix has it all in one place. Plus, we built Unity, our integration application, to cohesively connect ERP with an array of systems to give our clients a single source of truth. Don’t put your business at risk by relying on outdated systems and methods. Download “The Ultimate CRM and ERP Implementation Plan E-Book,” and get in touch with Datix today to transform your enterprise!